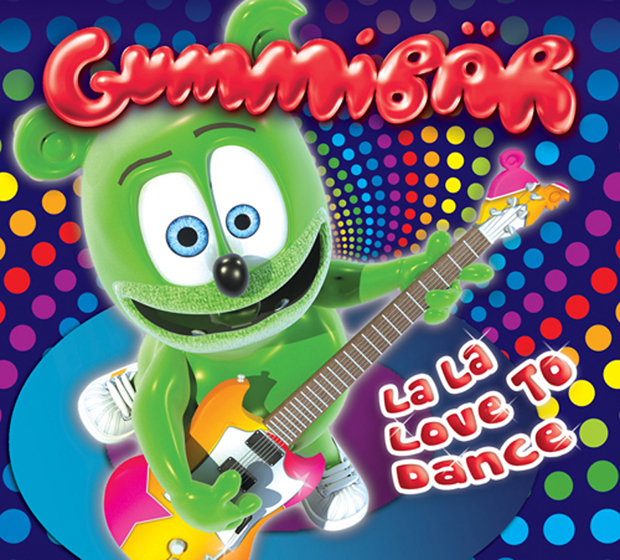 Gummibär - La La Love To Dance CD - Gummybear International Inc.
“La La Love To Dance”, the second album from internationally acclaimed animated superstar Gummibär, is loaded with 16 new songs and 3 bonus tracks of rare remixes. YouTube hit “Nuki Nuki (The Nuki Song)” is included, as well as 12 original songs, and 3 fun covers. In addition, this album features the debut of Gummibär’s birthday song – “Happy Birthday Gummibär” – as specially requested by many of his young fans. Available for purchase at the Gummibär webstore, on iTunes and Amazon.